When Ewan McGregor approached the reporters assembled for a Fargo press junket last month in Calgary, Alberta, it took a second for everyone to realize it was him. 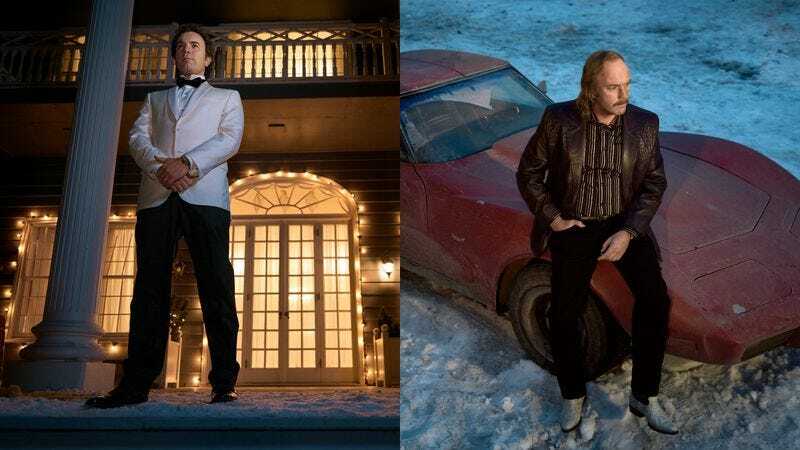 Missing only a rusty mustache, the actor was all done up as Ray Stussy, the more hardscrabble of the two feuding brothers he plays in Fargo’s third season—the other being Emmit “Parking Lot King Of Minnesota” Stussy. In the guise of Ray, McGregor—a “notorious athlete with a good head of hair,” in the words of showrunner Noah Hawley—sports a long scraggly ’do and a receding hairline, and he’s noticeably paunchier. Although he gained weight for the bathtub sequence at the end of tonight’s season premiere, McGregor’s gut was merely padding by the time of the junket, another element of the lengthy process that turns him from the cleft-chinned star of Trainspotting and Moulin Rouge! to the Minnesota parole officer with the piss-stained boots.